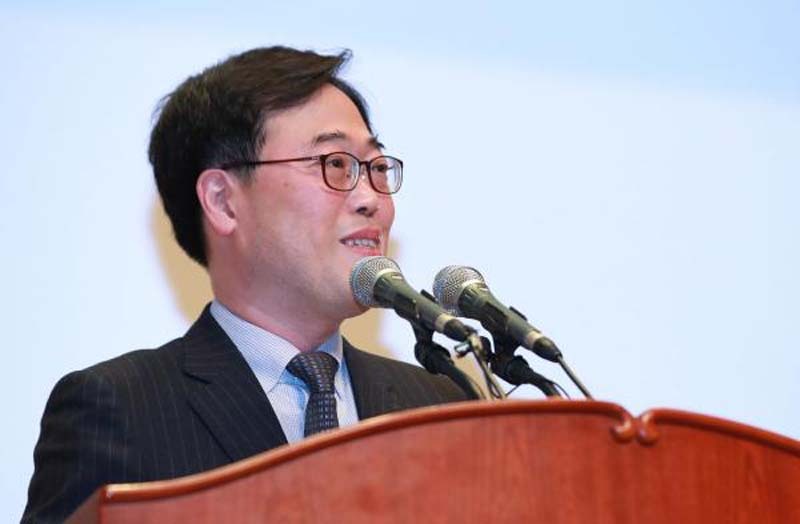 Kim Ki-sik, new head of the Financial Supervisory Service (FSS), speaks during an inauguration ceremony at the FSS building in Seoul, South Korea, 02 April 2018. Photo by Yonhap. A group of North Korean teenagers were sentenced for dancing to South Korean pop music last month, Japanese media reported. The Asahi Shimbun said Monday that six teenagers aged 16 and 17 in the North's Ryanggang Province stood public trial on March 22 for listening and dancing to roughly 50 K-Pop songs, before distributing them to others on a flash drive. Four of them were found guilty of "anti-national" conspiracy and received a year of labor. The sentence for the other two teenagers are unknown but all six were sent to an offenders' institution after the trial, according to the report. However, numerous North Koreans who defected to the South have said the laborers are treated "almost like forced laborers." The crowd also included young members of the ruling Workers' Party who have lived abroad or are familiar with Western music. Many North Koreans, who have reportedly watched the 2009 South Korean drama "Iris," were widely moved to see singer Baek Ji-young, who sang the theme song called "Don't Forget Me." They are also said to be confused by the Red Velvet's lyrics. The girl band's songs, including "Red Flavor," were entirely removed from the North's media coverage.